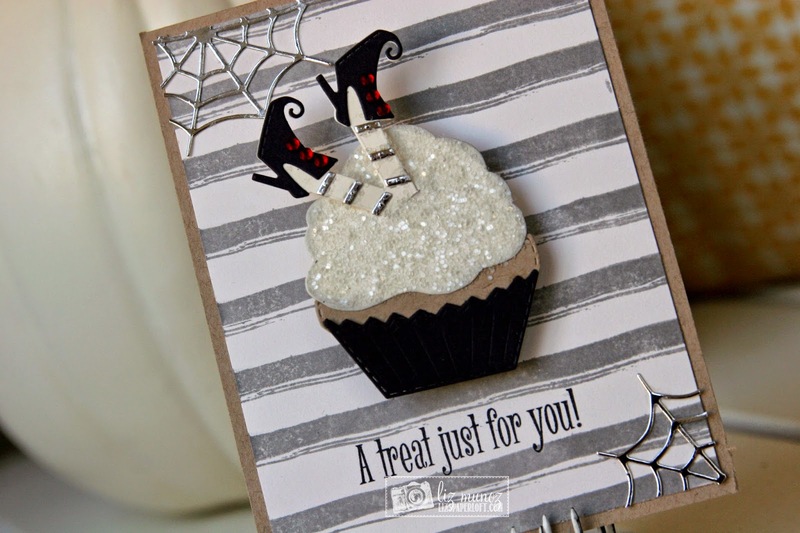 Liz's Paper Loft: MCT Inspiration Wednesday ~ A treat just for you! 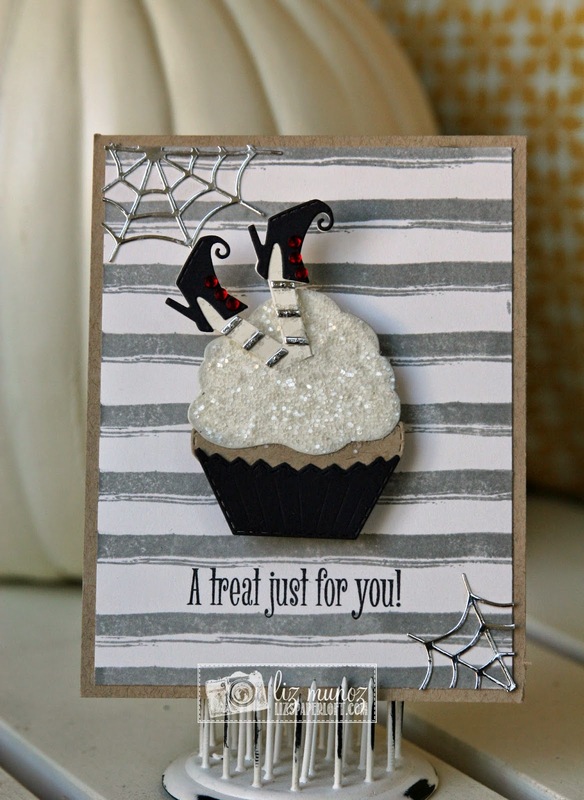 Isn't the cupcake frighteningly fun! Oh just a bit of fun, I found these fun free printables and some last minute Halloween ideas HERE. OMG & LOL~~~~~LOL You've given a whole new meaning to GOTTA HAVE CAKE!! 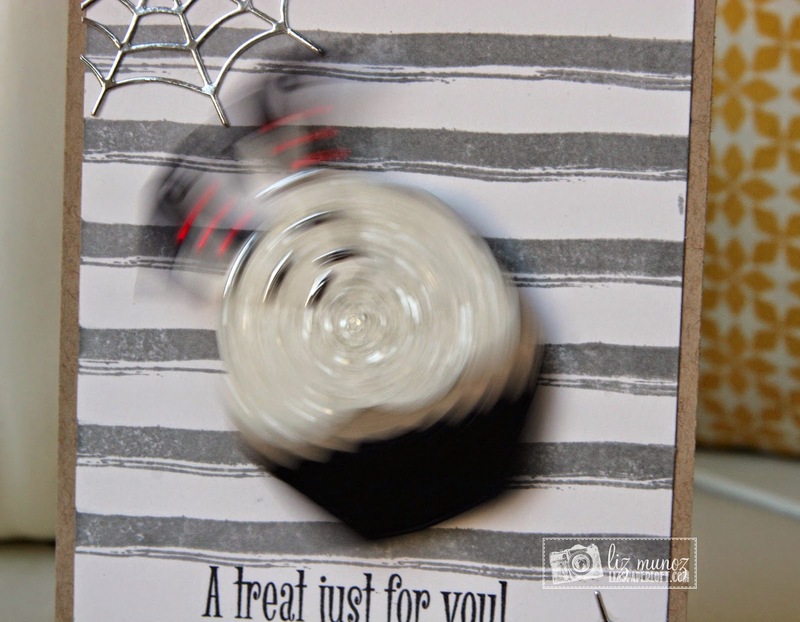 You totally outdid yourself...OMG a total SPOOKTACULAR Card with so many Fun and FABOOLOUS ideas I love that you used an Action Wobble....Gosh guess your little Witch Pooh definitely got a sugar rush. Eeek! 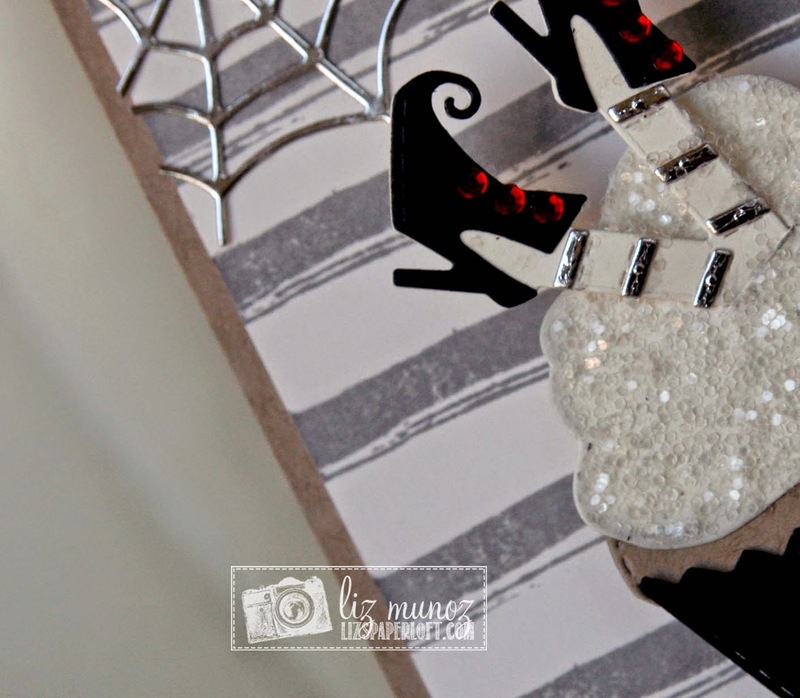 Loving this card, Liz! The design is fabulous, and then it's on a wobble!!! So darn cute! SERIOUSLY!!! In a word AWESOME!!!!! i LOOOOVE this card...it's funny, sweet, and oh yes...YUUMMY....LOL...!!! YOU TRULY KNOW HOW TO ROCK MCT PRODUCTS!!! OMGoodness ... This is so flippin' cute :). Love it! Great take on the inspiration. What a fun idea to put the wobble on it. Fabulous card. Liz ~ First of all somehow I missed a ton of your posts! UGH! Okay this is seriously ADORABLE and totally CLEVER!! I LOVE "my" legs in those boots stuck in that cupcake! Ha!